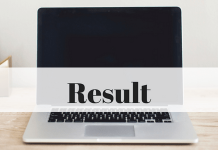 BPSC PT Answer Key 2019: Bihar Public Service Commission (BPSC) will be releasing the Answer Key of the exam on the official website of the examination conducting body. The 63rd Pre Combined State Entrance Test is conducted in the state of Bihar with 2.5 lakh of students appearing for the exam. The Answer key of the exam will be made available by the examination authorities for the candidates who will successfully appear for the entrance exam. BPSC PT Answer Key 2019 will help the candidates in the evaluation of their performance in the entrance exam. BPSC PT exam was conducted total in 19 District in Bihar State. BPSC PT Answer key 2019 will help the candidates in the calculation of the expected marks in the entrance exam. For more of BPSC PT Answer Key 2019 details go through the article here. 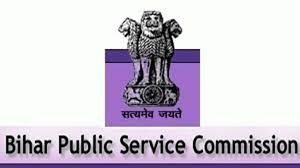 The Answer Key of BPSC PT 2019 will be released on the official website of the Commission. Candidates who successfully appeared for the entrance exam will be able to download the Answer Keys by providing the asked credentials. The BPSC PT Answer Keys 2019 will help in the estimation of the marks secured by the candidate in the entrance exam. The examination conducting body will also open a window for inviting the grievances of the candidates regarding the Answer keys of Bihar Public Service Commission. The objection will only be checked and evaluated if the proof submitted by the candidate is genuine. The Final Answer key will be uploaded after doing the corrections in the Answer keys of BPSC PT 2019. Visit the official website of the Bihar Public Service Commission or click on the direct link which will be provided here. Click on ‘Download the Answer Key of ‘BPSC PT 2019’ link. Candidates will be required to provide their credentials such as Registration Number, Password and Date of Examination to log in. Candidates will be able to see all the correct answers to the questions that were asked in the entrance examination. The examination conducting body of Bihar Public Service Commission 2019 might provide a link for challenging the Answer keys. The changes will be made by the expert committee after analyzing the correct answer. The necessary changes will be done in the Final Answer key of BPSC PT 2019. It should be noted that no grievances will be entertained after the declaration of the Final Answer Key. Go through the steps of challenging the Answer key from the points below. Log in by using the required credentials such as Registration Number, Password and Date of examination on the official website. If any form of Discrepancy is observed by the candidate, click on the link ‘Grievance’. Select the question ID and click on the Proceed button. Pay the fee through Online mode by clicking on the payment portal, if applicable. BPSC PT Answer Key 2019 will help in the evaluation of the performance of candidates in the entrance exam. The Answer Keys are released so that the candidate will be able to calculate the number of marks they might secure in the entrance exam. Go through the points regarding the advantages of the BPSC PT Answer key 2019 from the points below. The officially released Answer Key of BPSC PT 2019 will help an applicant in calculating the score secured by them in the entrance exam. In case of any discrepancy in the Answer Key, the examination body facilitates an opportunity of objection by the candidate and release the revised Answer key of BPSC PT 2019.